Police chiefs in Lancashire are carrying out a security review following the lone wolf terrorist attack in London. 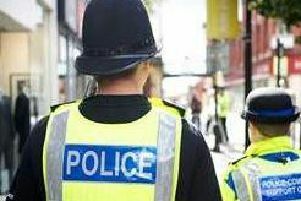 Residents have also been urged to report any suspicious activity – though the force has said there is nothing to suggest the county is at a particular risk of being targeted. It comes after an as yet unnamed man – said to have been inspired by ‘international terrorism’ – killed three people, including 48-year-old PC Keith Palmer, before being shot dead close to Parliament in Westminster yesterday afternoon. Supt Damian Darcy said: “We are now reviewing deployments across Lancashire but we would like to reassure residents that we do not believe there to be any specific threat to any area or location in the county. Early today, assistant commissioner for specialist operations in the Metropolitan Police Service, Mark Rowley, revised the number of dead from five to four. He said 29 people were being treated in hospital, with seven of them in a critical condition. “Hundreds of detectives have been working through the night and during that time I can confirm we have searched six addresses - and made seven arrests. The inquiries in Birmingham, London and other parts of the country continue,” he said. “It is still our belief - which continues to be born out by our investigation - that this attacker acted alone yesterday and was inspired by international terrorism. “To be explicit - at this stage, we have no specific information about further threats to the public. Any suspicious behaviour can be reported by calling 101, or the Anti-Terrorist Hotline on 0800 789 321.